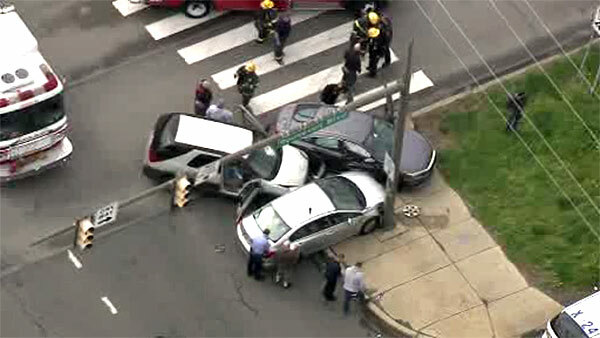 NORTHEAST PHILADELPHIA (WPVI) -- A three-vehicle crash slowed traffic on Roosevelt Boulevard in Northeast Philadelphia. It happened at 10:05 a.m. Thursday in the southbound inner lanes near Southampton Road. Action News is told an SUV and two sedans collided. It was not clear what led to the crash. Traffic was jammed in the area as police investigated and crews worked to clear the damaged vehicles.